AT&T, the nation’s second-largest carrier, sold 10 million smartphones in the last quarter of 2012, an amount that beats its previous record of 9.4 million smartphone sales in the same period last year. That works out to around 110,000 smartphones sold every day. 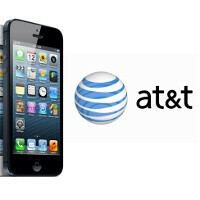 Moreover, AT&T broke sales records for both iPhones and Android smartphones. AT&T traditionally sells the most iPhones out of all carriers in the United States, and in its portfolio of iOS, Android and Windows Phone devices, the iPhone is the best sold platform. AT&T will unveil the final results for its Holiday quarter on January 24th, but this is a pretty good indication of how good the carrier is doing. Glad to b with AT&T. Sprint slow, Tmobile no lte, and Verizon is a nickel and dimer. hey dark, I have both services - they really are not not difference in terms of price. I'm glad too. Been with AT&T for 9yrs now. and waiting anxiously for the XPERIA Z.
I am glad to be with them too, it is just like I said before, do not believe everyone comments about them. I stay in NY and have a great service, Tmobile and Verizon do not have service in my house, they only get about 1 bar going on and off and in the basement it is worse, it just have no signal. I do not have any family with Sprint, so I do not know how they work in my house, but so far AT&T signal been great for me. I love my data share plan. ATT is far better for me than all the other carriers out there. Unlimited Data even after I upgraded twice ( not so much with Verizon), Unlimited calling to any cell carrier with texting package ( not so much Verizon) and coverage world wide is better than any other carrier ( can you hear me now Verizon ).....Plus I get 25% off my plan because of my career, not so much Verizon. i beg to differ. I have Verizon, kept my unlimited data upgrading from my iphone 4s to my iphone 5. I have unlimited Calling, Unlimited Texting, Unlimited Mobile HoitSpot all the while i'm on an incredibly reliable, and thoroughly developed 4g LTE network. and sure i can go anywhere i want that supports a sim card, because the Verizon iphone 5 if factory unlocked out of the box. And my employer gives me the same 25% off my monthly access fees with Verizon. People need to not complain about Verizon. Most people don't understand what they offer, or ways around the little "obstacles" that Verizon places in front of their customers. If you know anything about how a carrier works, theres ALWAYS a loophole. AT&T and Verizon - not much difference - both offer employee discounts, hotspot, data...I will admit that you cannot get unlimited mobile hotspot with AT&T unless you root your Android phone. AT&T still beats the crap out of Verizon for international service in terms of coverage, for now. I kind of miss AT&T, mainly because I miss having a SIM card. Feels like I'm missing out since I have a phone on Sprint that can run 4G LTE, but it's just not here in my city yet. All the while, most of friends on other carriers have 4G LTE or 4G HSPA+. they still sell plenty of iphones, thanks to their 99c iphone 4 and 99.99 iphone 4S, but their customers are slowly realizing that an iphone is not the only smartphone, and not even the best smartphone for the last few years. do not hold your breathe - they probably sold 800,000 of them at 49.99 or less ...it is a start. AT&T said yesterday at CES that they sell more windows phones than any other carrier in the world. while we dont know the numbers yet, it is a good start.